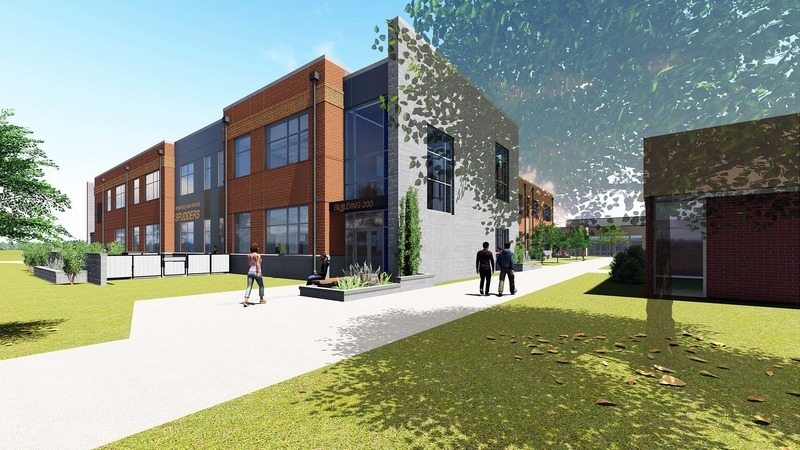 Ridgefield School District will host a groundbreaking ceremony in the courtyard of Ridgefield High School, 2630 S. Hillhurst Road, at 10:00 am on Wednesday, May 30. The ceremony is open to the community and marks the beginning of construction that will expand Ridgefield High School. The expansion is the second of four phases included in the district’s 2017 Bond Program which voters approved in February 2017. The high school’s new two-story 42,000 square foot facility will be built on the space now occupied by the high school’s administration offices and library. It will house a new science learning wing, special education instruction, fine arts, media services, a college career center and additional general educational classrooms to accommodate the district’s rapidly growing student enrollment. Construction will begin in mid-June, immediately after the school year ends and is scheduled to be complete by Fall 2019—ready for the opening of the 2019-20 school year. Take a virtual tour of the Ridgefield High School’s new building and learn more about Ridgefield School District’s 2017 Bond Program by visiting the district’s website at http://www.ridgefieldsd.org/bond--2.